Millennia ago, the Molossi people lived, logically enough, in Molossia, a mountainous region in northwestern Greece that today is southern Albania. And the ancient wags tell us they had a very special dog. Molossers have existed in various roles and regions throughout the centuries. 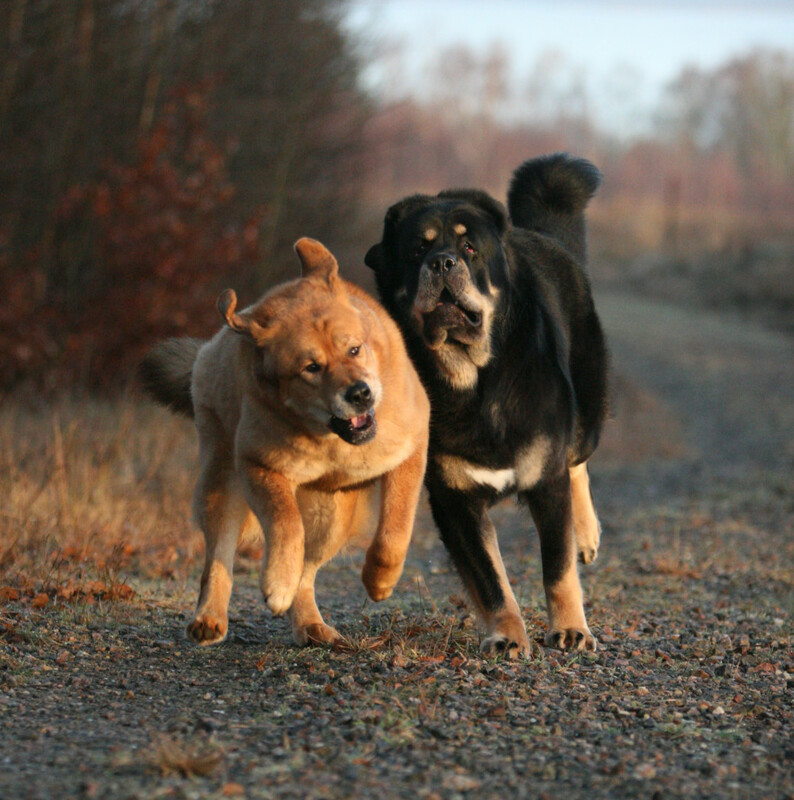 The classical Roman poet Virgil noted that the Molossian dogs were used by the ancient Greeks and Romans for hunting, but focused on the dog’s role as the ultimate “no-tech” alarm system. “Never, with them on guard,” he wrote, “need you fear for your stalls a midnight thief, or onslaught of wolves, or Iberian brigands at your back.” That’s the romance. Now for the reality. For all its celebrated reputation, the Molosser remains a shadowy figure in canine history. Experts debate exactly what the ancient Molossian dog looked like, and argue even more ferociously about its progenitors: Some posit the Tibetan Mastiff as the starting point of this ancient race, following Asiatic tribes along the “silk roads” to Europe. Others dismiss this as just romanticism. In all honesty, we simply don’t know whether there is a direct line of inheritance between this ancient root stock and a family of large, muscular guardian dogs we know today by various names, including “mastin,” “ dogge,” “ dogue” and “dogo.” What we can say with certainty is that the spirit of the Molosser – this idea of an imposing guardian who impresses with his sheer presence – has survived the centuries. 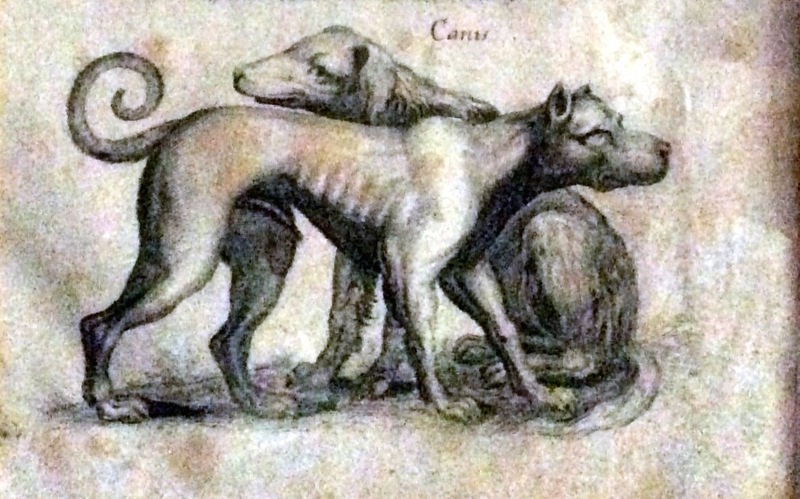 Generally speaking, Molossers are identifiable by their comparatively large size and heavy bone; short, powerful necks; massive heads with relatively foreshortened muzzles, and thick, sometimes wrinkled skin. The term Molosser is a very elastic one, encompassing breeds as diverse as American Pitbull Terriers, Shar-Pei and Pugs, as this family is so very wide-ranging. But not all Molosser breeds want to be characterized by the “M word.” Newfoundlands, Leonbergers and Bulldogs, for example, are undoubtedly Molossers in terms of their body style and their ancestors, but very few fanciers consider them as such. Conversely, in terms of their phenotype, Tibetan Mastiffs and Fila Brasileiros are not as extreme as many of the “classic” Molossers, but they gladly accept the mantle. 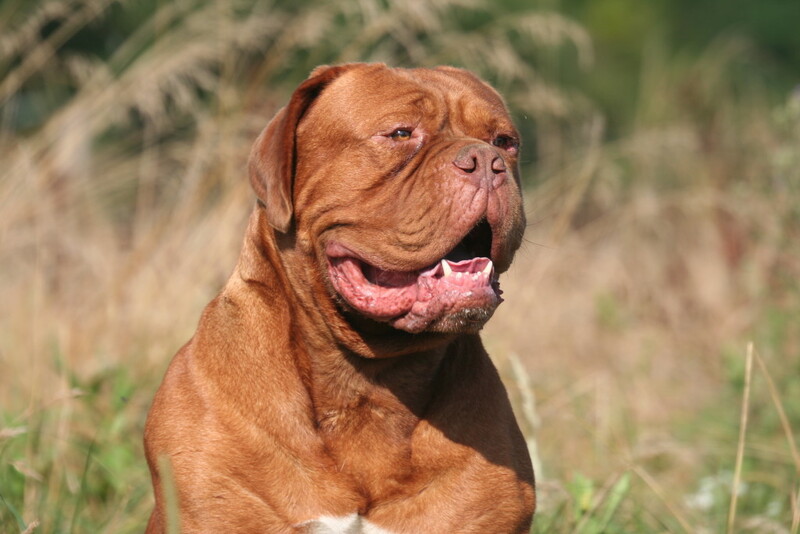 The Dogue de Bordeaux is the French Molosser. In the end, “Molosserdom,” if you will, has more to do with how a breed community sees itself, particularly in relation to guarding function. Oftentimes, this doesn’t mean that the breed has retained an active protection purpose or even instinct, but rather more that its fanciers are willing to appreciate and acknowledge that facet of its breed history. 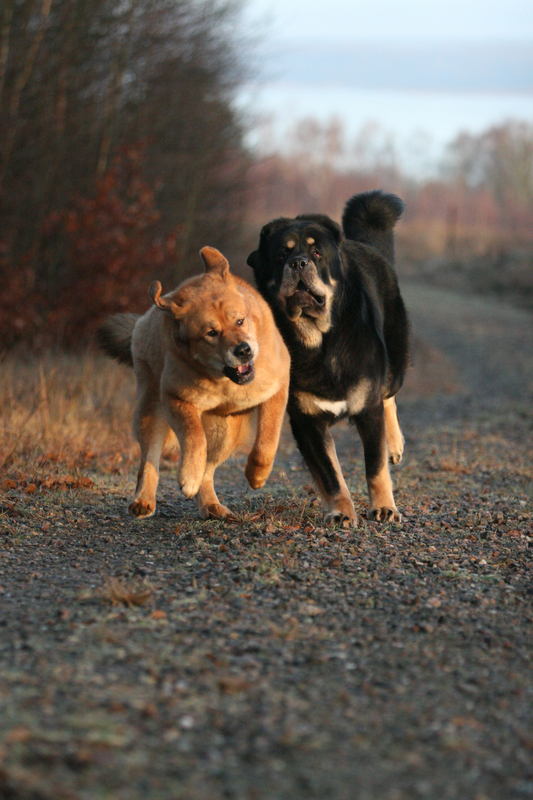 For the purposes of our magazine, we target our coverage to those breeds who are not only classified as Molossers, but whose breeders and owners wish them to be identified as such. 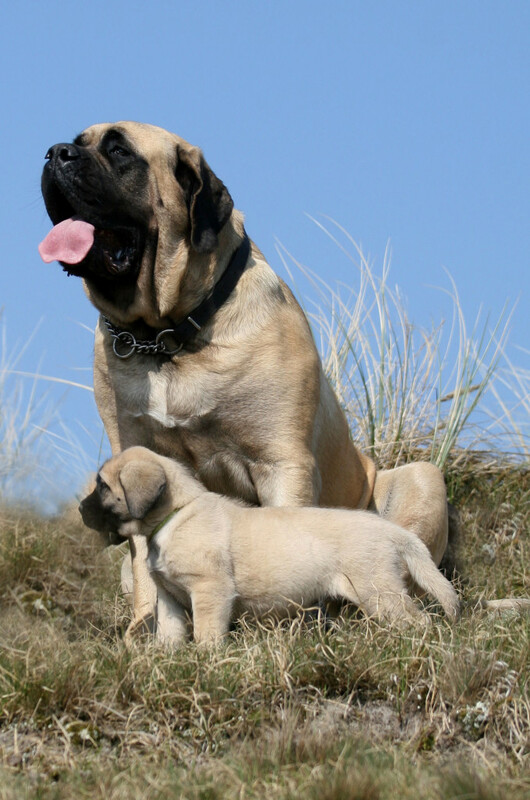 The Mastiff, Bullmastiff, Dogue de Bordeaux, Neapolitan Mastiff, Tibetan Mastiff and Cane Corso are easily identified as descendants of this ancient race. And there are rarer breeds, including as the Broholmer, Mastin Espanol and Tosa Inu, that are happy to find themselves in the fold, too. Say It Once, With Feeling! If you’ve just come across the “M word,” or never were quite sure how to pronounce it in the first place, fear not! Just click our green button below to hear how it should be pronounced. 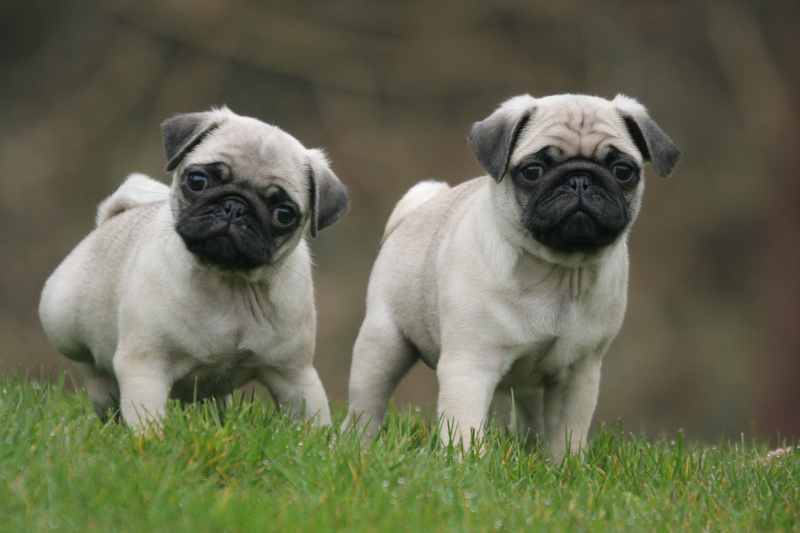 Several small breeds are considered “mini-Molossers.” Pugs, French Bulldogs and Boston Terriers are miniaturized versions of their larger brethren. Compare these photos of Bullmastiff and Pug puppies. The words “Molosser,” “Molossus” or “Molossoid” all describe a type of working dogs bred to guard, protect and defend livestock and estate. And the terminology is very commonly used overseas, as the Federation Cynologique Internationale (FCI) categorizes “Molossoid” dogs in a subgroup by that name. The Dogo Canario is known in the U.S. as the Presa Canario. Because of that, not surprisingly, the Federation Cynologique Internationale recognizes far more Molosser breeds than the American Kennel Club. 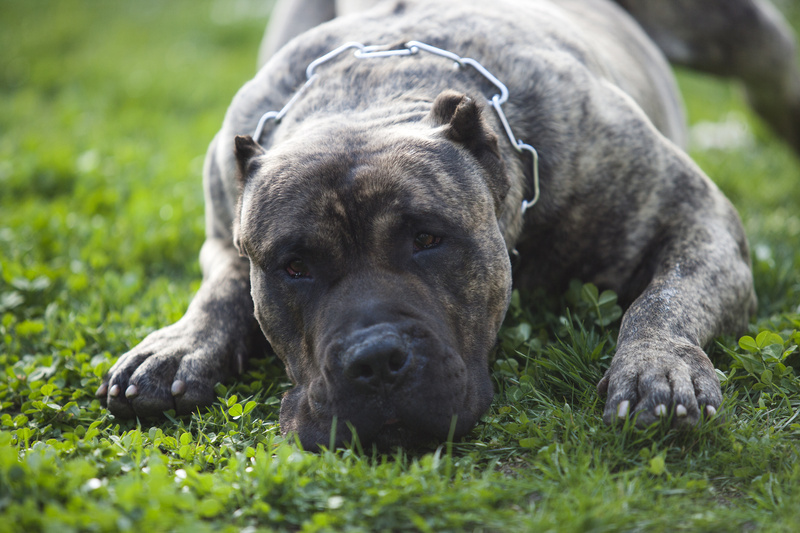 But Molossers are making significant inroads in the U.S.: In the last decade, the American Kennel Club has recognized the Neapolitan Mastiff (2004), Tibetan Mastiff (2007), Dogue de Bordeaux (2008), Cane Corso (2010) and Boerboel (2015). The Dogo Argentino has been admitted to the AKC’s Miscellaneous Group, which is the final step before official recognition. 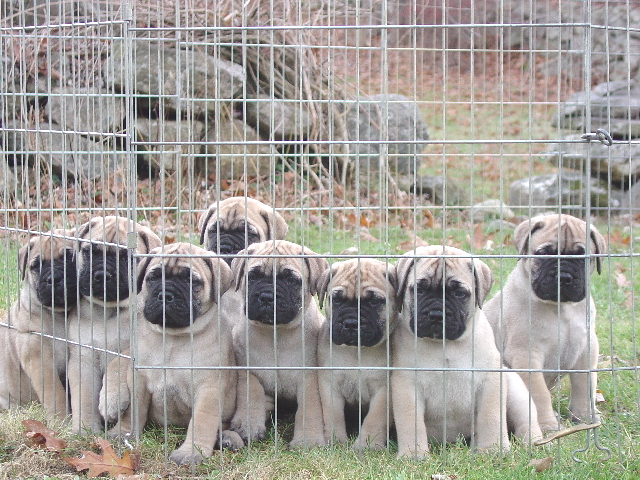 And the AKC Foundation Service Stock (FSS) is peppered with an international sampling of Molossers, including the Broholmer, Perro de Presa Canario, Pyrenean Mastiff, Spanish Mastiff and the Japanese Tosa.